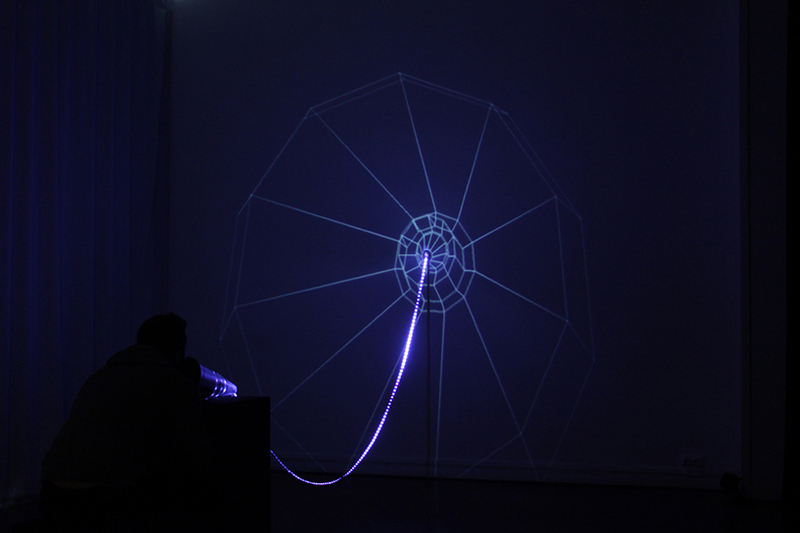 created using raspberry pi and openframeworks, 'murmur' is an architectural prosthesis that enables the communication between passers-by and the wall upon which it is connected by simulating the movement of sound waves, building a luminous bridge between the physical and the virtual world. based on a collaborative and open approach, participating studios chevalvert, 2roqs, polygraphik and splank have designed and created the 'echo’s room', making reference both to the audio effect achieved and to greek mythology. it creates a magical effect, a mystery in the way that sound waves filter through the space. the installation focuses on movement, manifesting an unconventional dialogue between the public and the wall. it represents the key technique of the murmur device, turning sound waves into light waves.